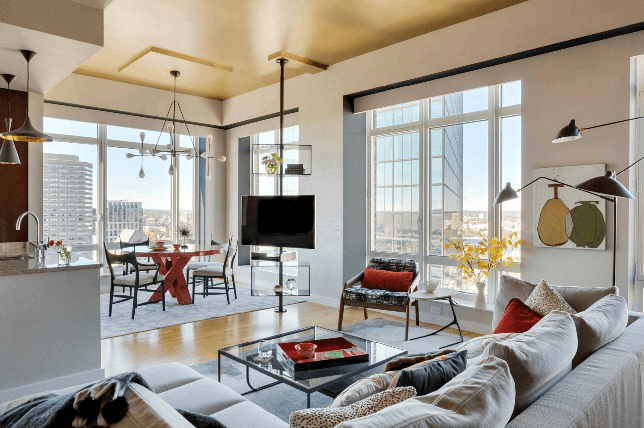 If you’re looking to elevate your living room with a fresh coat of paint and you’re looking for interior design ideas, then you’ve come to the right place – as we’ve got 9 great living room paint ideas for you. A fresh coat of paint will give your living room a new lease of life, and we all know how big a difference that coat of paint makes. 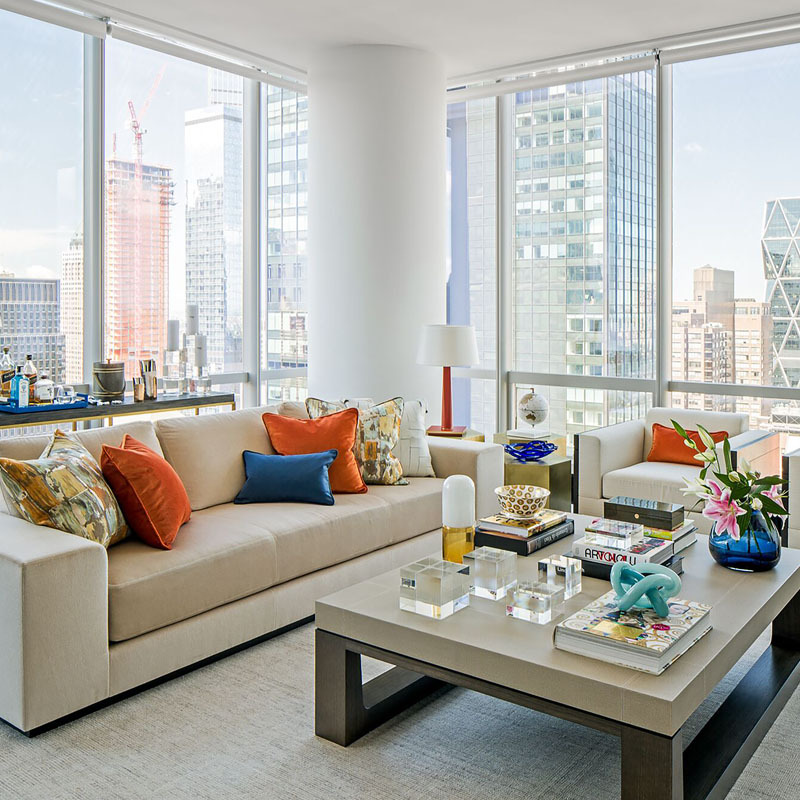 Your living room is one of the most visible and frequently used spaces in your home. It’s where you host guests and where you can channel your personality and tastes to friends and family. 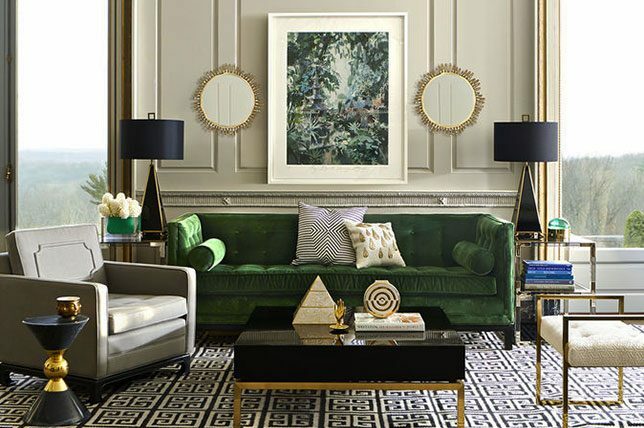 Whether you’re drawn to a bold, vibrant sense of design, or something more calming and minimal, your living room paint ideas should be unique to you. The great thing about paint is that it’s affordable and it’s something you can somewhat easily do yourself, making it a cost-effective option if you’re on a budget. You can opt for something bold and bright, something calm and collected, or something completely unexpected. Whatever you have in mind, take a look at these 9 amazing ideas for a DIY living room paint makeover. 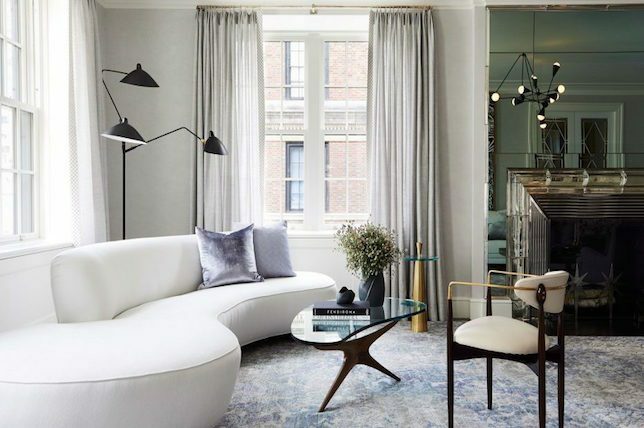 Get inspired by these savvy living room paint ideas that’ll easily help you transform one of the most important rooms in your house. Painting a mural on your wall is a great way to update your living room paint job, with something a little different. If you already have your own design, have it replicated on your wall or ask an artist to come up with something. If there’s a certain piece of art you like, you could base your mural around that, or you could even have a photo you took replicated in paint. The possibilities are endless. Allow the mural to reflect your personality, so if you are into comic books, why not have a comic book strip painted on your wall? Or a giant unicorn? Whatever you choose, make sure the mural is in-keeping with the rest of the room and it doesn’t look out of place – you don’t want it becoming the focal point of your room for the wrong reasons. 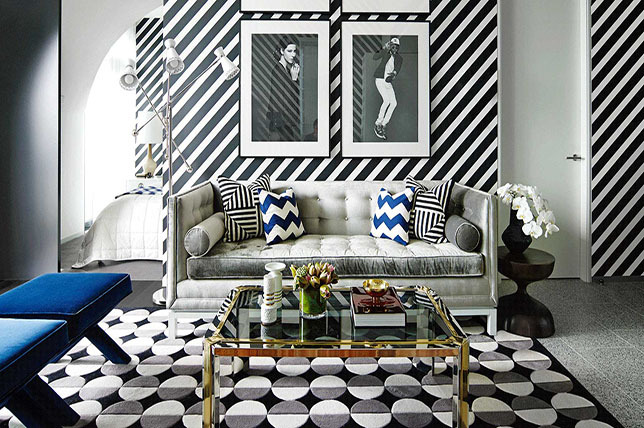 Geometric living room paint is all the rage at the moment. 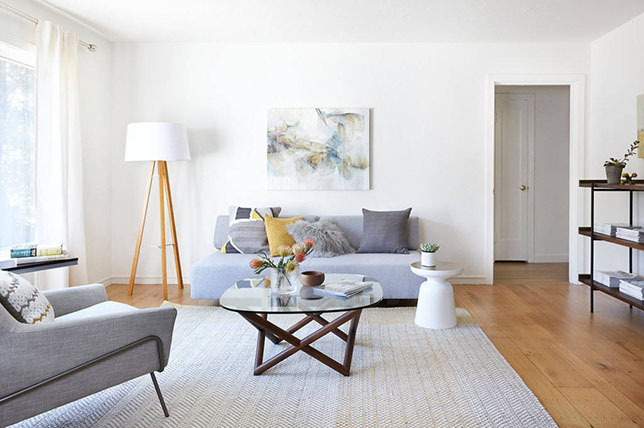 From a feature wall with bold geometric blocks of color to a subtle grey and white Tetris vibe; geometric living room paint ideas are exploding onto the scene. 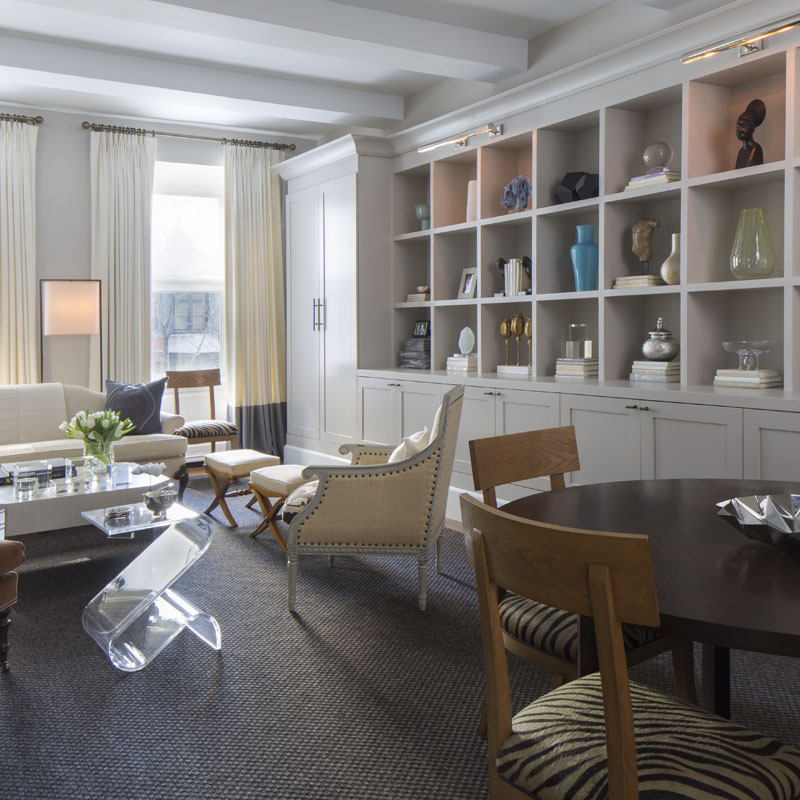 Popular living room colors for geometric paint designs are grey and whites, pastels and contrasting brights. 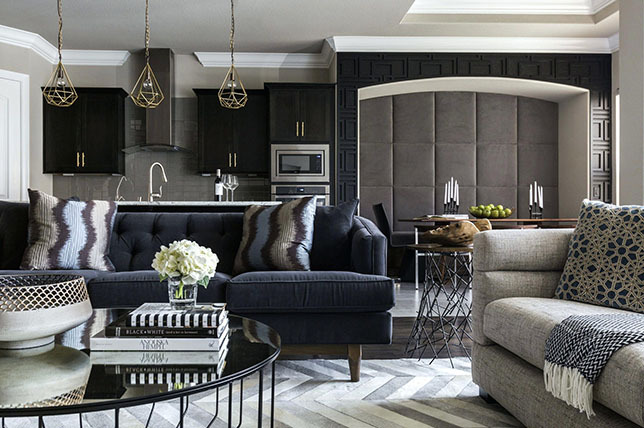 Your design doesn’t have to be loud; it can be subtle light grey chevrons on a white wall or a few complimentary shades painted in big blocks. If you want your design to really make some noise, try bold colors broken up by white lines. Take time planning out your design on paper before you even think of getting your brush out. 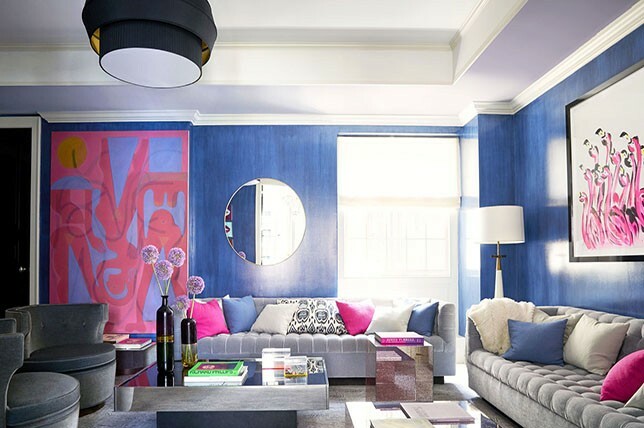 Color blocking is a great way to introduce modern color schemes for living room designs. 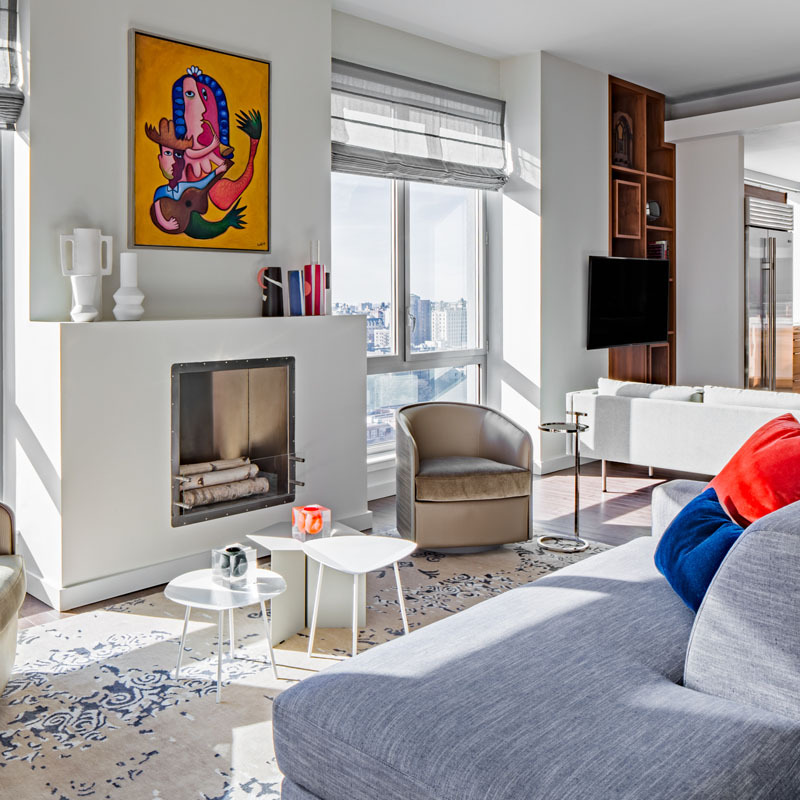 You can introduce some bright pops of color this way, to make your space more vibrant, or introduce contrasting deep tones for a hint of luxury. You can introduce blocks of color around art, to highlight the pieces you have hanging on the wall. 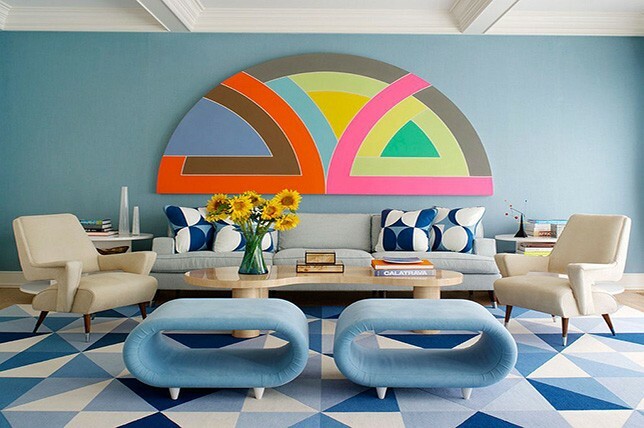 You can color block around a focal point of the room, such as an archway or a fireplace. Or, you could even make a point of interest out of something more mundane, like shelving, lighting and even furniture. This doesn’t have to be done in obvious or stand-out ways, you can do this with a neutral less aggressive colors. Popular living room colors for color blocking, range from grey to post box red – your living room is your oyster. 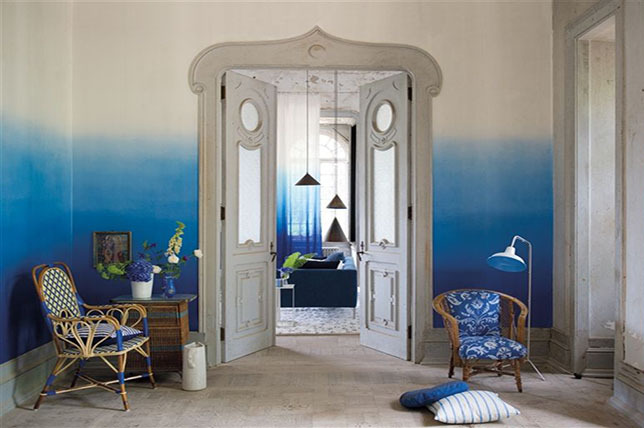 If you’re thinking ‘modern color schemes for living rooms’, then ombre might be the answer. Just as with ombre hair, or ombre cake decorating, ombre living room paint starts with one color and fades into the next one, and the next one and so on. There are a few ways you can go with this, you can choose two colors and fade from dark at the bottom and light at the top – say, pink to white? Or, you can choose multiple colors and fade from one to the other – perhaps more of a sunset vibe? 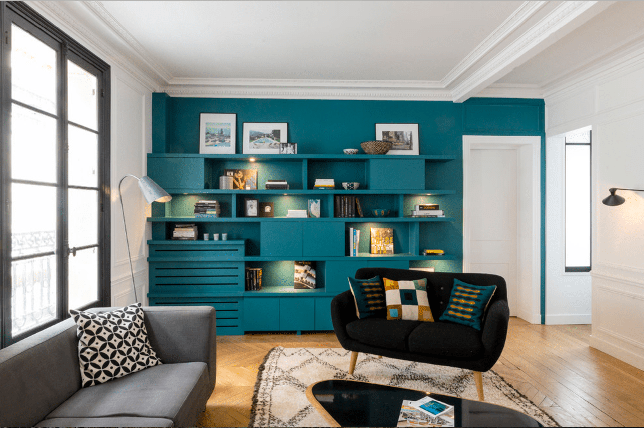 It might seem like your ombre living room paint ideas may be possible to achieve, but with a little thought and planning, you can achieve whichever ombre look has you out buying living room paint. Section your wall, choose your paints and make sure you blend the transition between colors well. Simple, right? Brights are always popular living room colors. Happy tones work wonders for brightening up a dull space and creating a more playful vibe. Living room paint doesn’t have to be neutral and inoffensive, it can be in your face and loud. Paint walls in bold tones and make sure you break up the color with contrasting furniture and flooring. Blues and whites come together for a dramatic look, and splashes of orange bring the whole thing together. 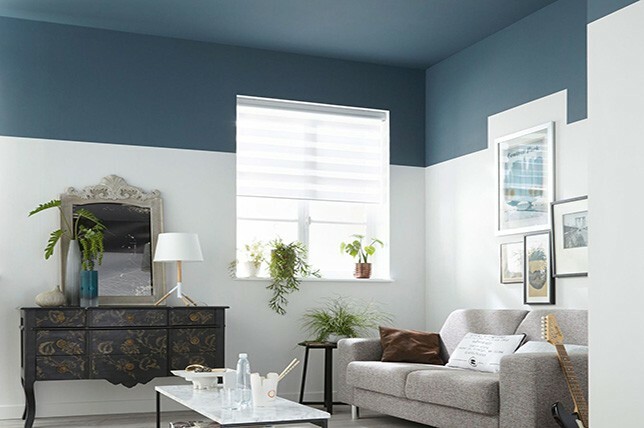 When it comes to small living room paint colors, you might be surprised to hear that the darker they are, the better they might just be. We aren’t saying paint all the walls black, but painting one wall in a dark, luxurious paint color can make your room feel larger, by adding depth. Bold stripes add a focal point to a room and are popping up everywhere in living room paint ideas. Horizontal stripes will help make a wall appear wider, whereas a vertical stripe will make it appear longer. 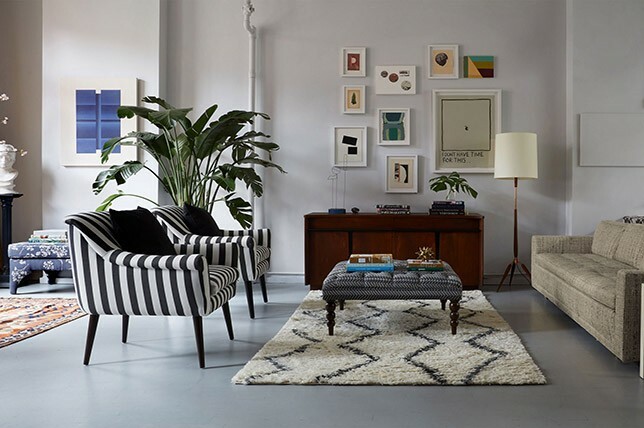 If you have art, why not opt for a big stripe along the wall to hang your art in? Use a contrasting living room paint colors for this to really make it pop. You might think a feature wall sounds like an old-fashioned idea but think again. Gone are the stencils of the 90’s, and the popular living room colors of magnolia and mocha. A feature wall can be loud and proud and feature any one of the living room paint ideas on our list. Feature walls draw the eye to them, so place one at the opposite end of a room to make the room appear longer or use them to draw attention away from something you’re trying to hide. 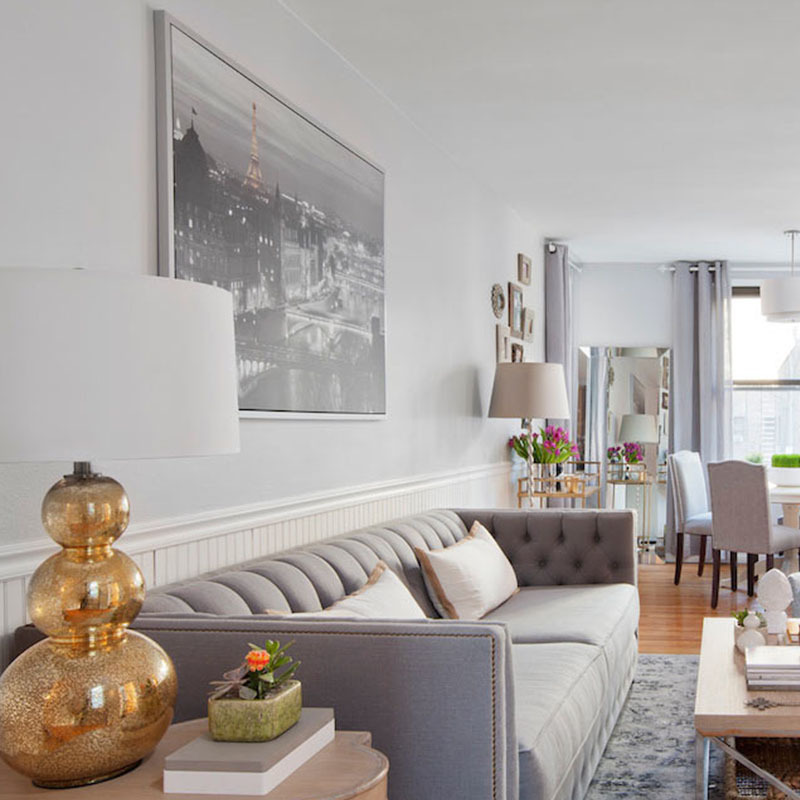 White should be at the top of your list of small living room paint colors. White makes even the smallest of rooms look spacious. While white living room paint won’t actually make your room look bigger, it certainly helps your room appear bigger. When a room is painted white, it becomes harder for the eye to decipher where one wall ends, and another wall starts, making the room appear larger than it is. 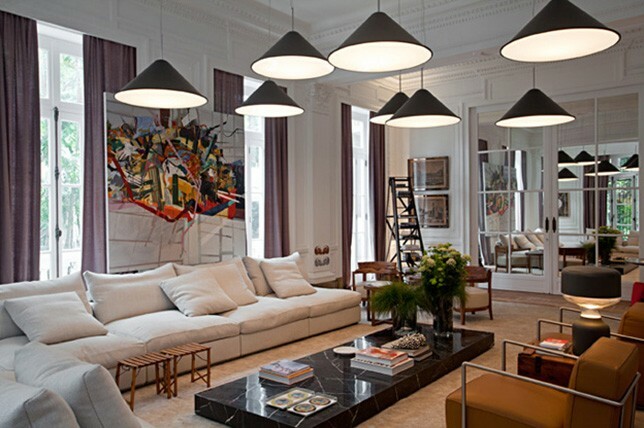 White is also excellent at reflecting light, which also helps to make rooms appear bigger. Just make sure you add some color with accessories, so your space doesn’t start to look clinical. If you’re drawn to a bold shade that might overwhelm a room if used on all walls, an accent wall is a great alternative when considering the best living room paint ideas to add instant color and create a dramatic focal point in any room. The best accent walls highlight architectural elements or highlight well-judged collection of artwork. Plus an accent wall doesn’t have to be limited to one solid shade as you can create patterns that can tie the colors of a room together brilliantly. We bet you never thought about updating your ceiling when consider living room paint ideas as its an often overlooked surface. By painting a statement-making hue overhead you can easily make any room feel more dynamic by contrasting it with you walls for the ultimate effect. 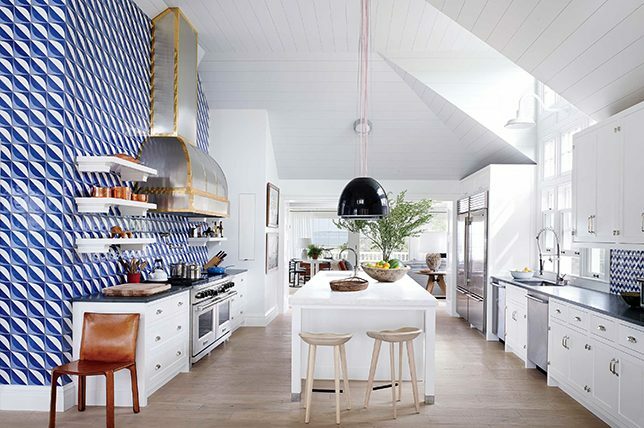 If committing to a bold toned ceiling seems too daunting, go a softer route and consider a more subtle, sobering shade. 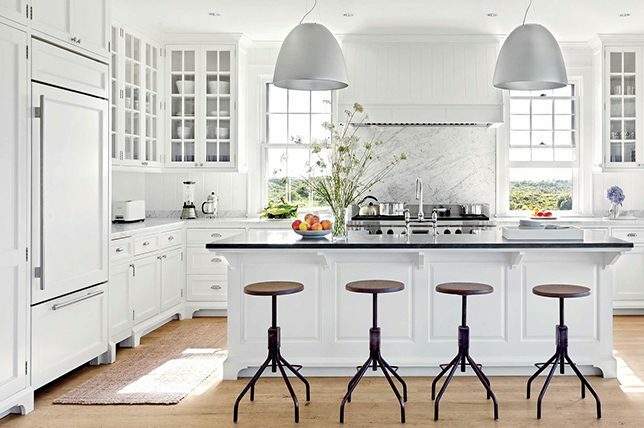 Or you can brighten an all-white room with a vibrant, hyper effective color. But if your ceiling are low is low, go for a calming tone like powdery gray or blue to make them look higher by tricking the eye into thinking the space is bigger than it really is. 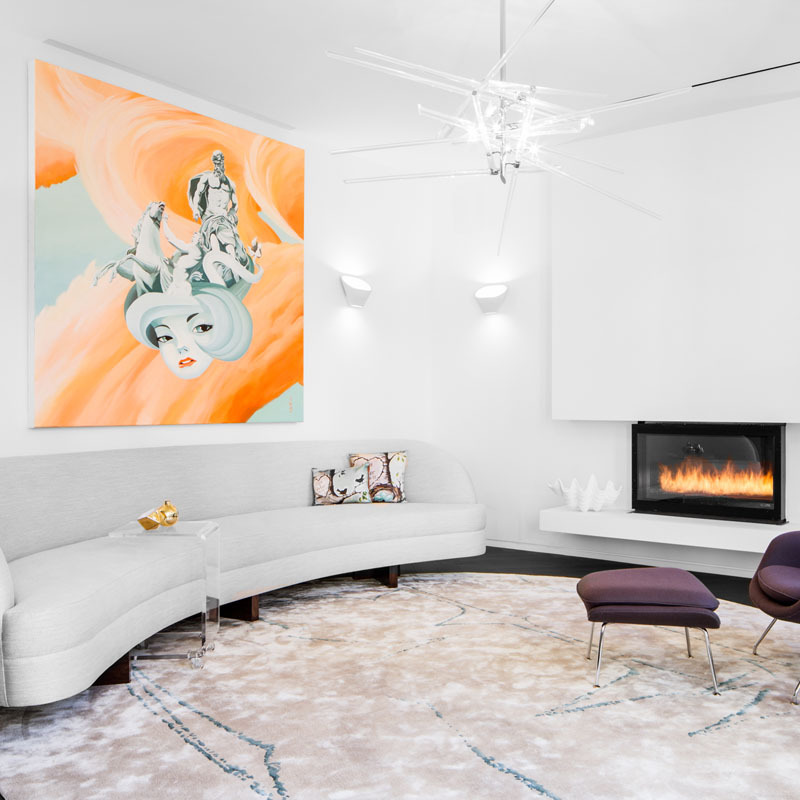 When considering memorable living room paint ideas, sometimes thinking outside of the box for unexpected yet intriguing results can make your home one of a kind. Do you have wooden or concrete floors that could use an inexpensive update? Why not paint your floors with popular living room colors to make it really stand out? Painting your floors can open up endless, inspiring design possibilities, especially when you select a color that’s not a standard neutral if you do decide to paint or stain your concrete floors with popular living room colors. When it comes to living room paint ideas, a bold, solid color or energizing white can work wonders. You can also evoke the feel of striking black and white checkerboard tiles with a two color combination for living room. Concrete floors can also look more sophisticated with a glossy coat of epoxy that will also work to reflect light throughout a room. You can also stain concrete to subtly imitate the look of textural stone or marble for an impressive and more natural feel. As you can see, there are effective ways to add more personality to your living room with a simple coat of paint. Paint is an affordable, versatile medium that can easily elevate your overall approach to interior design without stretching your budget. 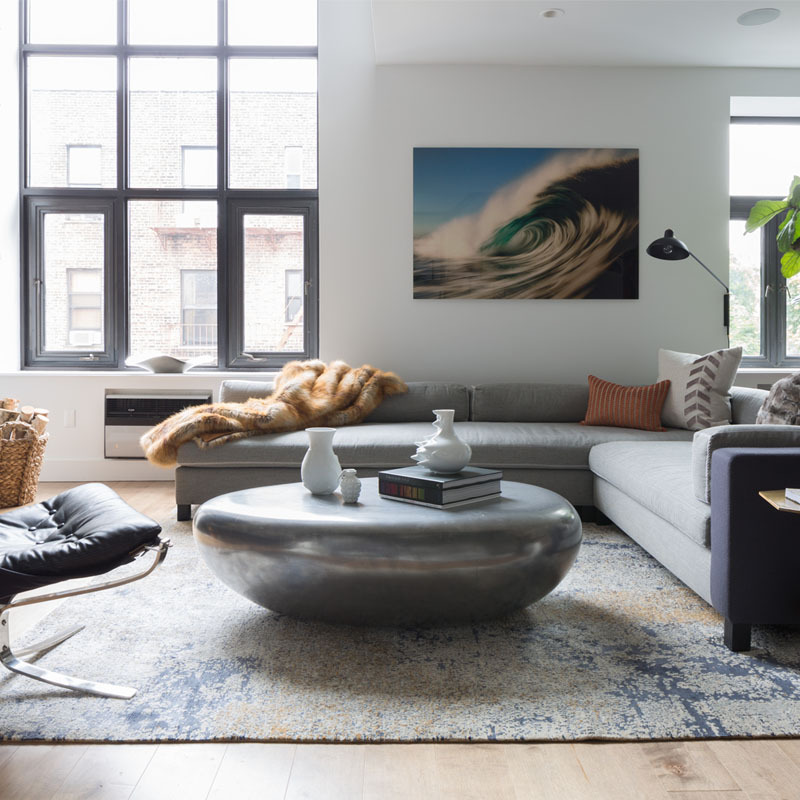 Whether you’re living in a small apartment or a large home, it’s probably likely that your living room is one of the biggest and most challenging rooms you have to decorate. Before you begin shopping for furnishings, don’t forget to consider the room’s foundational design feature: your walls. 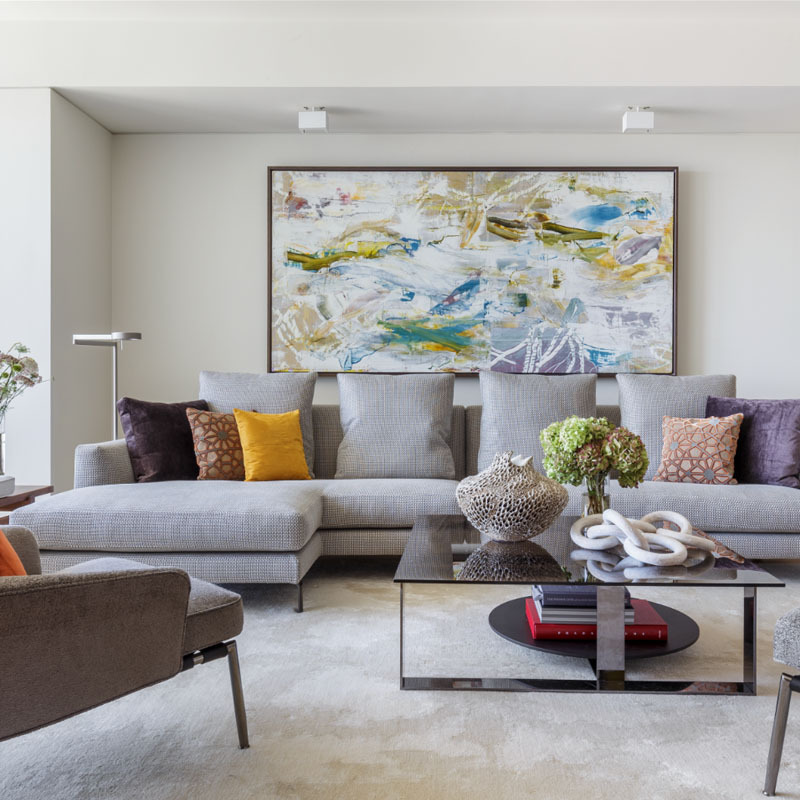 Selecting a paint color can work to help you set the tone throughout your living room while impacting every element from lighting to how you’ll install your artwork. Lucky for you, there’s no wrong or right color when it comes to living room paint ideas. And with every color, there’s a range of shades to consider, allowing you to elevate the rooms mood and energy. For instance, you can opt for an intense green to make a statement or try a subtle, watery pink for a muted, calming, and serene look. 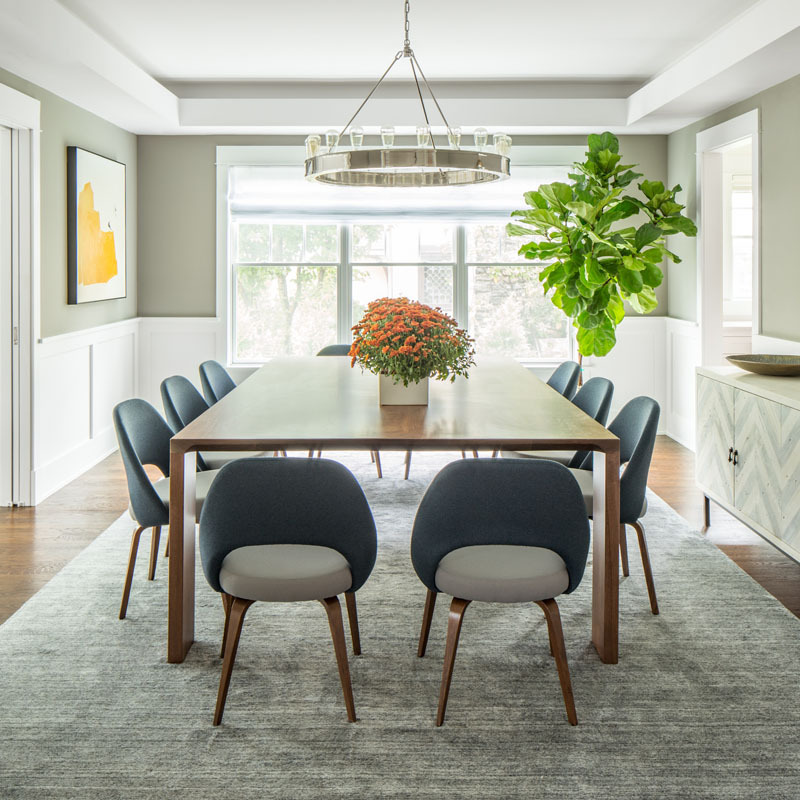 When selecting a living room paint color to define the space, it’s imperative to study how much natural light the room gets throughout the day and think about different sources of lighting. Natural, fluorescent, and incandescent lighting can alter the look of your painted walls, which is why it’s essential to see how the color will read in your space before you begin painting. After you’ve narrowed down paint colors, next you need to consider how and where to best use it. Take an experimental approach and consider painting unexpected details like moldings and trim, or like we noted, your ceiling. For a project of ours in Los Angeles, Décor Aid interior designer Lilly M. painted our client’s ceiling a brilliant metallic gold tone, the trim optical black, and kept the walls classically white, to create a radiant aura throughout their open space. 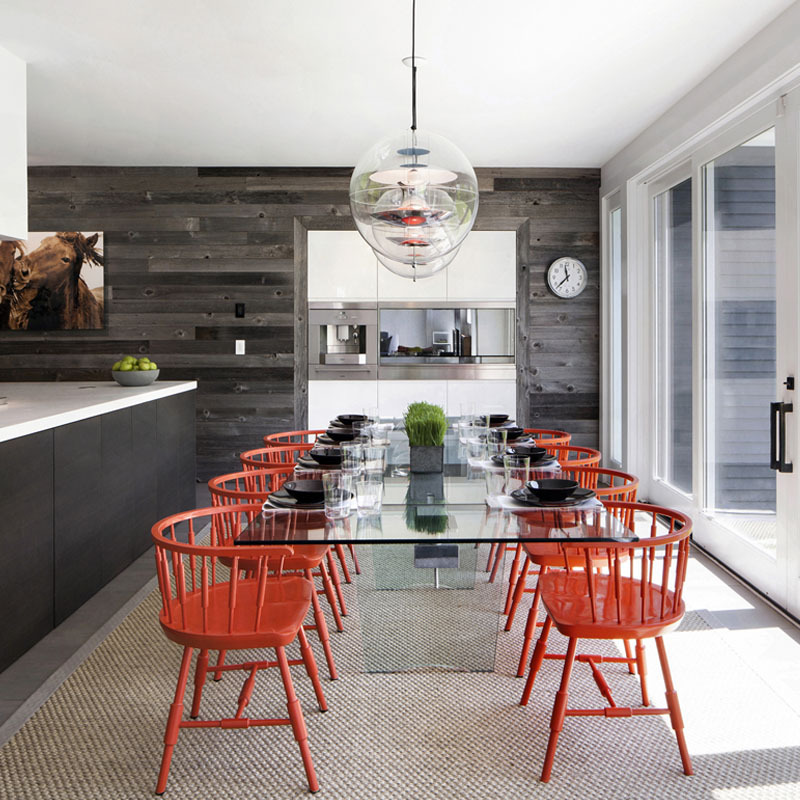 The paint’s glossy sheen took the look to another level while punctuating the room. Its high-gloss finish instantly added drama, while if it were a matte or semi-gloss paint, it would be best saved for casual rooms. 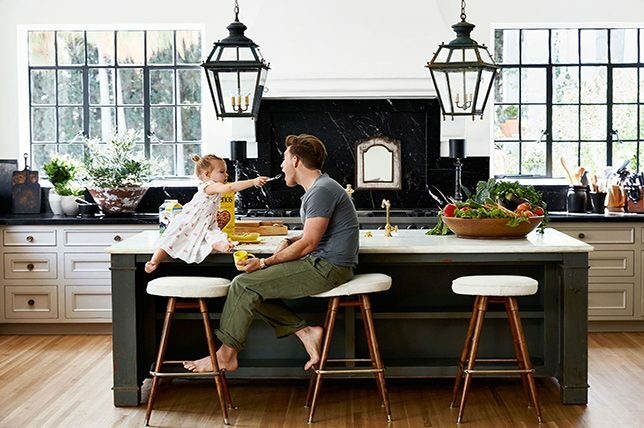 House paint experts keep an eye out for emerging color trends, taking inspiration and cues from the art and fashion worlds, pop culture, and architectural industry, among other sources.